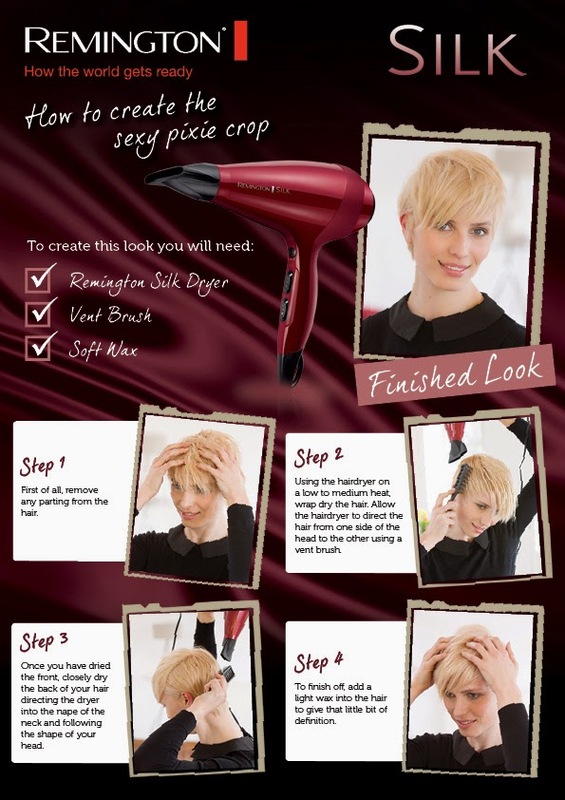 When I saw this super easy 'get the look' from Remington, I had to share. I get lots of emails and messages from ladies with short hair frustrated at the lack of tutorials and style how-to's for them. And this Michelle Willams inspired pixie crop will look great accessorised with a jewelled clip or band for Christmas. Changing your parting is an instant way to update short hair, blowdrying hair forward onto the face can really change a style, and using some wax or matte styling product (I recommend TIGI Bed Head Matte Manipulator) will define pieces of hair and give hold. If you really want to change things up, curling the longer front you've blown forward will give a really multi-dimensional look with the smooth back of the hair balancing the front 'quiff' of curls. I've been looking at some of my favourite short hair celebs - I love the rough, textured styling - and blonde colouring it would seem!